Crush 4 of the Gojo’s in a blender to create a fine dust. Add the coconut or almond milk and the coconut ice cream. Blend until thick and creamy. With the blender running, drizzle the melted chocolate and blend until just combined. Extra coconut ice cream can be used for a thicker shake. 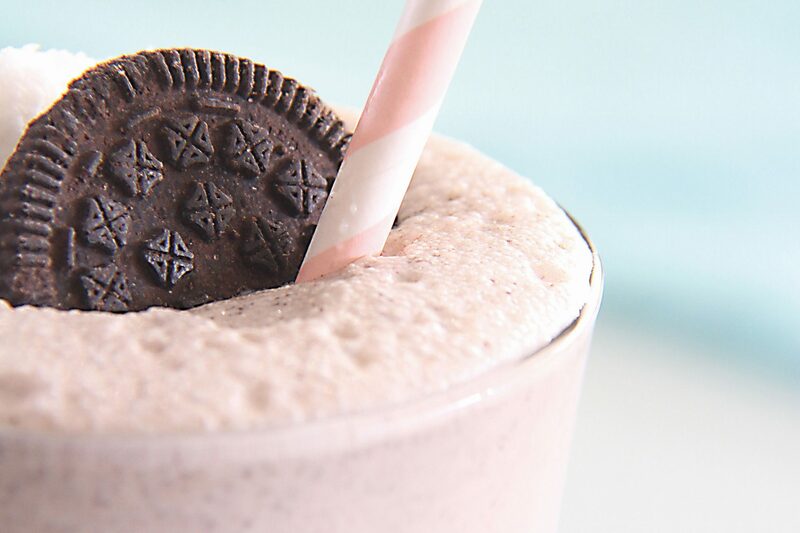 Pour into 2 milkshake glasses. Break the remaining 2 Gojo’s and decorate along with the additional coconut ice cream if desired.